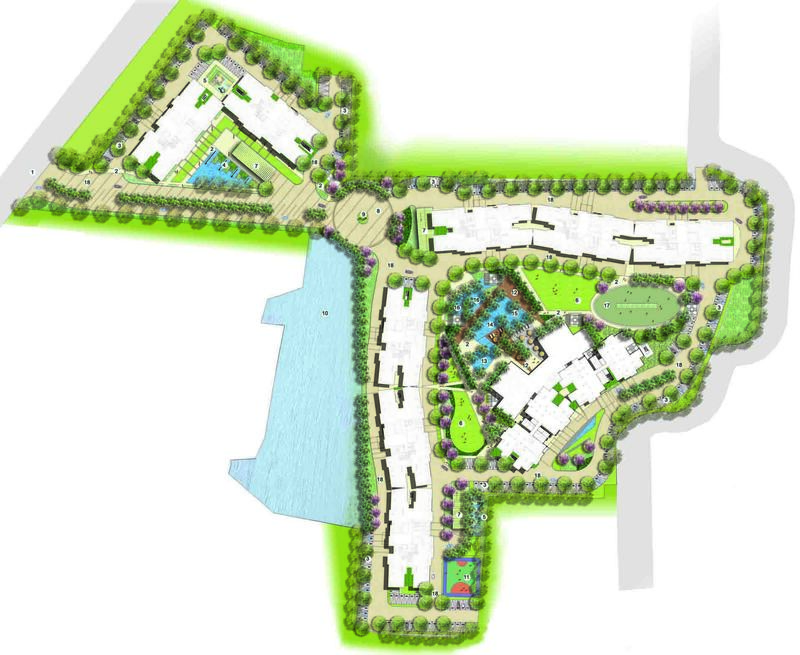 Ideal Green – Green Space Alliance | Urban designers | Planners | Landscape Architects. 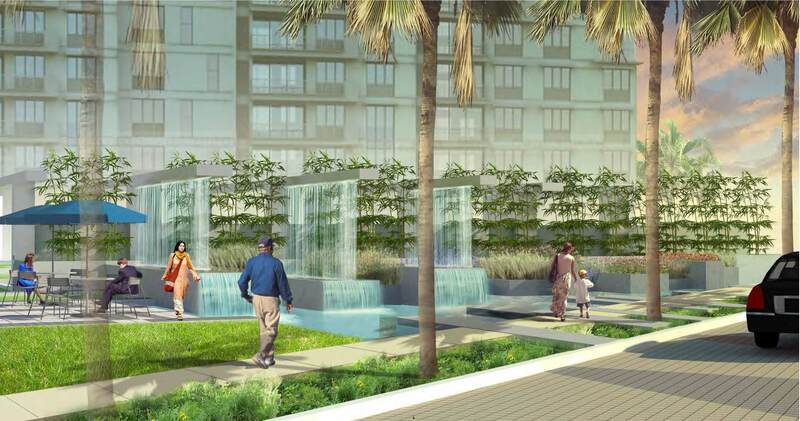 Ideal Real Estate Pvt Ltd.
GSA designed a detailed landscape plan for this unique development containing 10 luxury apartments spread over a site area of 11.5 acres. 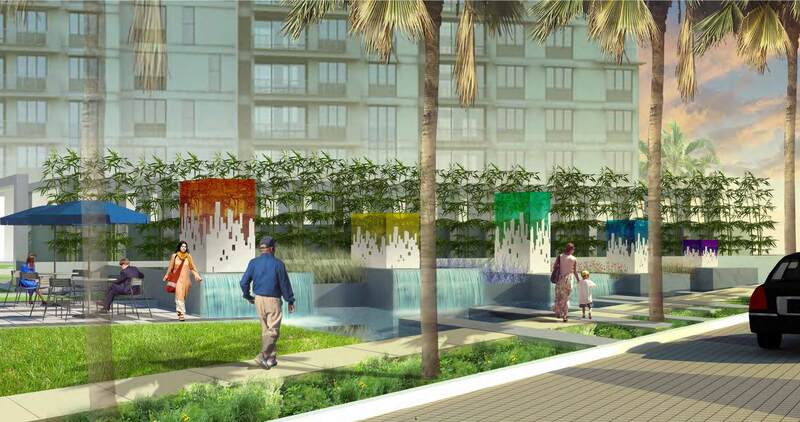 The contemporary landscape design provide a variety of amenities such as cascading water features, fountains, sculpture plaza, seating areas, party lawns, children’s play area, skating areas, sky lounge, swimming pool, and outdoor barbeque kitchen areas. 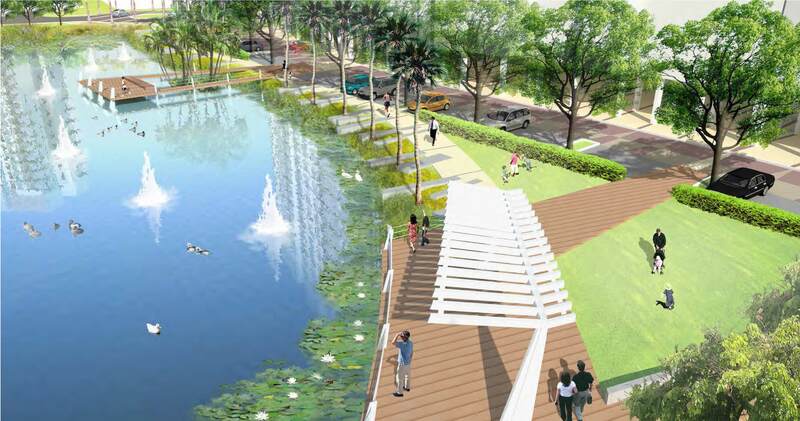 The existing lake serves as a prominent feature and is incorporated into the landscape design through multiple water features. Landscaped areas on the ground floor and on top of the building podium were designed to satisfy requirements of the LEED green building platinum certification.